I am still recovering from our large Talk Like a Pirate Day celebration at the library on Saturday – but since official Talk Like a Pirate Day isn’t until the 19th, you still have time to celebrate if you haven’t already! 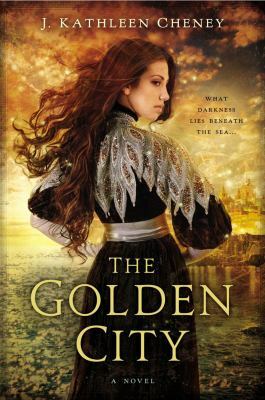 The Seat of Magic: A Novel of the Golden City by J. Kathleen Cheney. Penguin, 2014. This is the sequel to The Golden City, which I read earlier this year and very much enjoyed. As the story opens, our hero Duilio is distressed over the failure of Oriana Paredes to return to the Golden City after going back to her home islands. His magical senses are telling him that something is wrong, but he doesn’t want to push their fragile relationship by looking for her too soon. In fact, she is in great danger, but happily soon returns to her usual state of refusing to be ordered around. Things are bad in a general sense as well, as numbers of young women are going missing. Many of them are women of supernatural origin – otter girls, selkies, and sereia – found brutally murdered with parts missing. Oriana and Duilio discover the existence of an ancient text, The Seat of Magic, banned for its talk of dissecting magical creatures to discover just which pieces are magical. Duilio and Oriana together investigate the murders, which fall outside of regular police responsibilities because magical creatures are still banned from the Golden City. There’s also the ongoing, very slow burn romance between Duilio and Oriana. While they know they’re attracted to each other, it’s very difficult to navigate the extreme differences in their class and culture – Duilio was raised in a patriarchal society, while the sereia society is strongly matriarchal. I felt that Cheney did a good job of addressing these real issues while still making the romance one I could believe in. The Seat of Magic is a nice genre-blending book, good for fans of fantasy, mystery or historical fiction with a nice bit of romance as well. The mystery aspect was little more gruesome than I like personally – but I know that I have a low tolerance for that sort of thing, and regular mystery readers would probably not have these issues. I’d say this one is for adults and older teens, and highly recommended for those to whom this particular blend sounds appealing. This entry was posted in Books and tagged adult fantasy, books, historical fantasy, Mystery. Bookmark the permalink.